Theatre Strike Force is a college comedy troupe based at the University of Florida. T.S.F. is run by students, for students but open to the community around us. We teach and perform Sketch and Improv Comedy on campus and around Gainesville. We are very open to new members and performance opportunities! Please explore this website to learn more about us. If you have any questions please contact us, we'd love to hear from you! To keep up to date on T.S.F. Shows and Events, like us on Facebook! Congrats to our Sunday Group: CIT 11 Finalists! 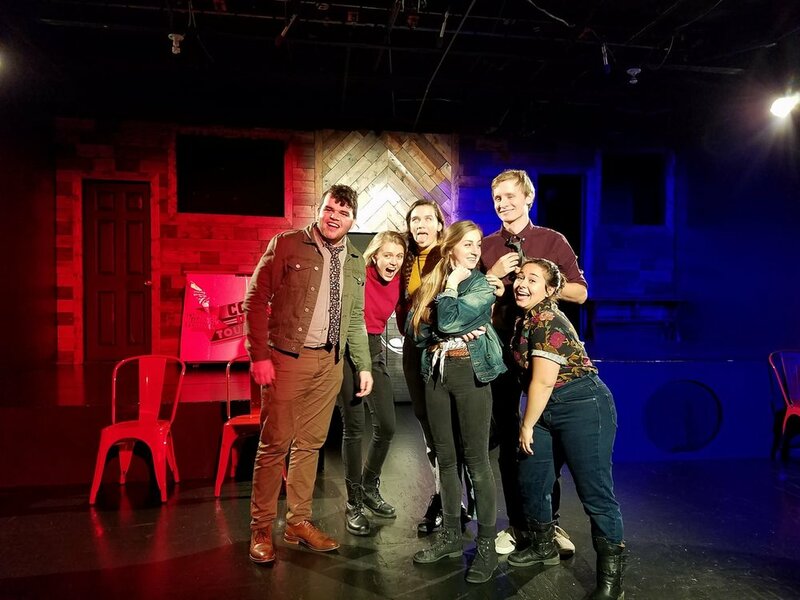 We went to Chicago and made it to the final round of the international College Improv Tournament! For more images of our adventures please head over to our archieve! Want to get INvolved in TSF? To be a member all you have to do is come out to one of our Academies! Our normal Improv and Sketch Academies are soon approaching with the coming semester. We will have Improv Academy every Monday at 7 pm and Sketch Tuesdays at 7pm. To keep updated, informed, and active like us on Facebook. Pictured: Having fun with no experience necessary!